Microsoft Bill Gates now have a full grown thought of moving into Social Media Enterprise by purchasing the popular LinkedIn and the amount has been paid in cash. Is Bill Gates ready for what he is about entering? 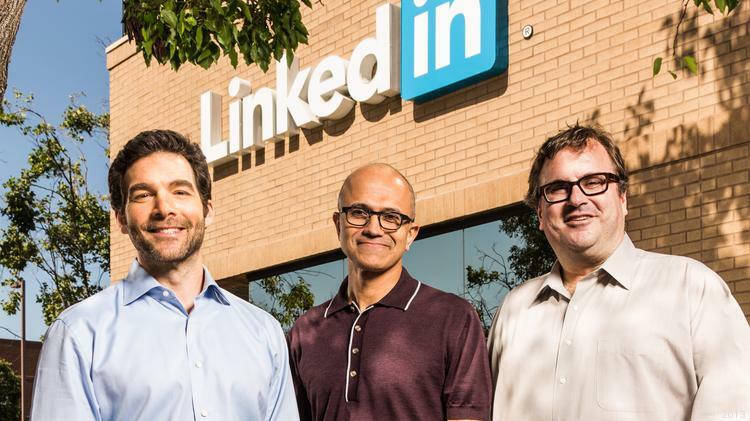 Microsoft is buying LinkedIn for $26.2 billion, the company announced on Monday. Meanwhile, Microsoft will pay $196 per share for the company. LinkedIn CEO Jeff Weiner will remain CEO of the social network for professionals, reporting directly to Microsoft CEO Satya Nadella. If Bill Gates is not ready then what happened on 15 August 2011 and on 29th January 2014 will repeat itself. Did you know that On 15 August 2011 Google announced it had bought Motorola Mobility for $12.5 billion in cash. With it Google acquired more than 20,000 mobile patents. On 29th January 2014 , Google announced the sale of Motorola Mobility to Lenovo for $2.91 billion. You can watch a short video below. So that is to say, if Microsoft Bill Gates is not ready to venture into Social Media enterprises then in the next three years they might sell it and in a more cheaper price like the Google and Lenovo -motorola deal. Buying LinkedIn for $26.2 billion dollars, isn’t a small amount. Microsoft wanted to venture into Nokia phone industry but they failed by selling it back although the phone business deal took place on Apr 25, 2014, that is Nokia was sold to Microsoft for $7.2 Billion then May 18, 2016, Microsoft sold the Nokia brand to Foxconn and HMD Global as their mobile assets for a lower amount of $350M. Jeff Weiner, the CEO of LinkedIn was kind of moody in selling their company to Bill Gates. Microsoft announces all cash deal for LinkedIn for a 50% premium over Friday’s closing price.